Dr. Tom Catena's patients come to him from hundreds of miles away on foot, in carts, or often cradled in their mother's arms. Welcome to the Nuba Mountains of Sudan, an area of the world so void of humanitarian and media attention that years of war go ignored, and cries for help go largely unheard. Here, this lone American surgeon tends with equal compassion to patients ranging from malnutrition and leprosy, to grave wounds inflicted by the indiscriminate bombings ordered by their own president, Omar al-Bashir. When a government can attack defenseless men, women and children with supersonic bombers,and it doesn't make anyone's newswire, something is terribly awry.The only surgeon within 200 miles, 'Dr. Tom' does his best to save lives in the midst of carnage and terror, treating as many as 400 patients a day at Mother of Mercy Hospital, nestled in the heart of the Nuba Mountains. The region is the latest target of Omar al-Bashir, a man wanted by the International Criminal Court for committing crimes against humanity and war crimes in Darfur. 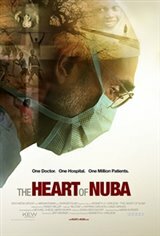 Surrounded by a country at war, living under the constant shadow of aerial bombardment, Dr. Tom and his mostly local staff defy Bashir's ban on humanitarian aid, and work tirelessly to serve the Nuba people. This population of one million Muslims, Christians, Animists and Africans of traditional belief have lived together harmoniously for centuries. Now, together with Dr. Tom Catena, they struggle to survive.